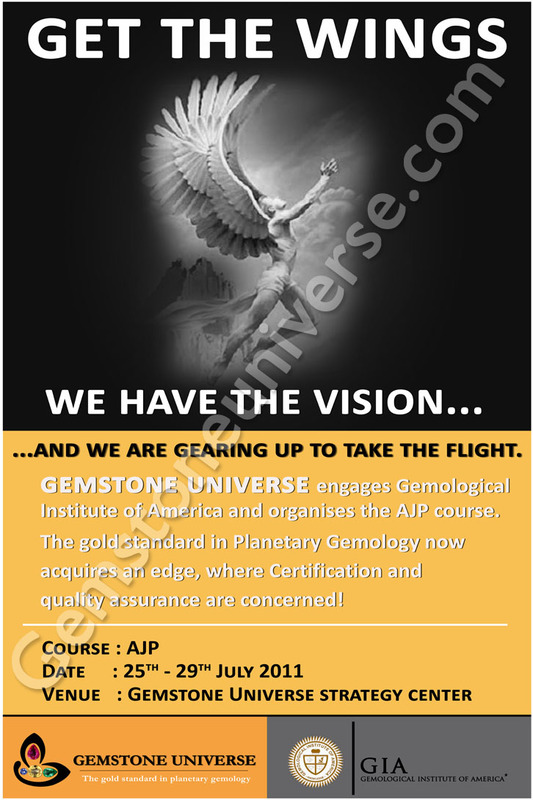 The week long Accredited Jewelry Professional (AJP) sessions kicked off today at Gemstoneuniverse to conduct the intensive sessions for its consultants. On successful completion of the course and upon clearing the tests formulated by the GIA-Gemological Institute of America, the consultants would be given the accreditation as leading qualified jewelry professionals in their field. 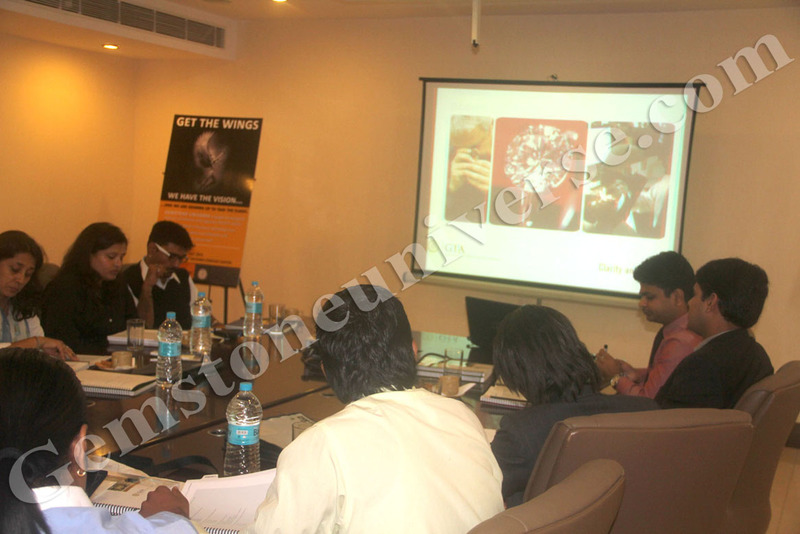 GIA is conducting this program exclusively for Gemstoneuniverse at the Gemstoneuniverse Strategy Centre. It carries tremendous value for us but ultimately has more meaning for you – our patrons and all people as now there is the assurance that they are dealing with the best professionals, who have genuine and accurate information along with the best products and services. 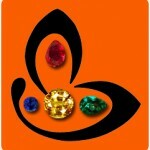 GIA-Gemological Institute of America is a name to reckon with in the field of gemology. With cutting edge research backing, its expertise in the field of gemstones, whether diamonds or colored stones, is unquestionable! 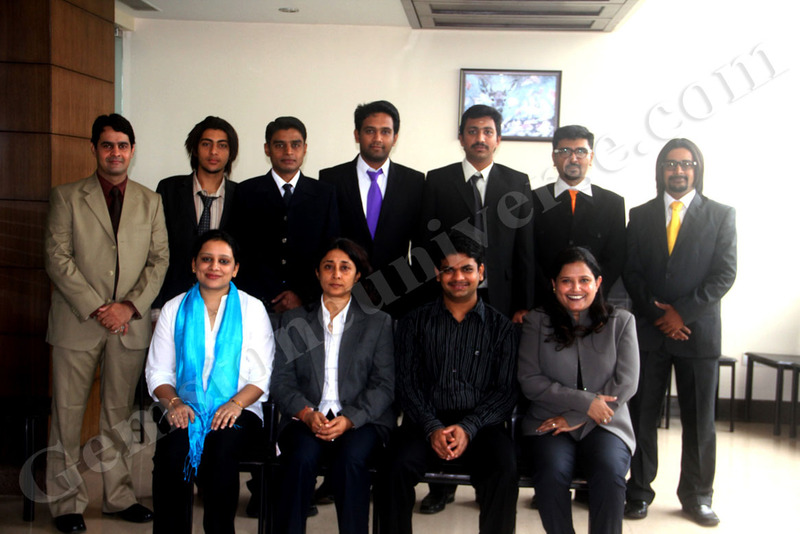 The sessions conducted would be a compendium of all encompassing knowledge on diamonds, colored stones and precious metals used for jewelry as well. In addition to the AJP there will be special workshops on latest developments in Gemstone treatments and development of expertise in identification of treated gemstones. With each passing day as new treatments are developed this knowledge and sharing of research data is invaluable to be ahead of the curve and provide our best to the field of planetary gemology and our patrons. Founded in 1931, GIA’s mission is to protect all buyers and sellers of gemstones by setting and maintaining the standards used to evaluate gemstone quality. The institute does so through research, gem identification and diamond grading services and a variety of educational programs. Through its world-renowned library and subject experts, GIA acts as a resource of gem and jewelry information for the trade, the public and worldwide media outlets. With the gems and jewelry trade acquiring bigger dimensions by the day, it is our endeavor to not just stop at the products and services, but to provide you the best value for your time, money and life goals as individuals in our own capacity. Planetary gemology is a journey we are committed to, and you can expect the best from us. We will keep updating you as we keep updating ourselves.